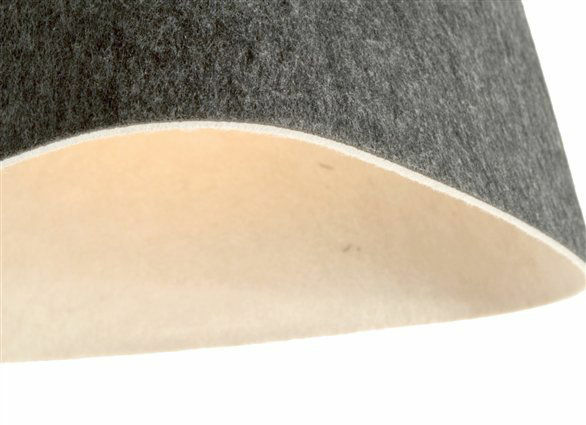 Felt has been used in many applications and by various cultures. 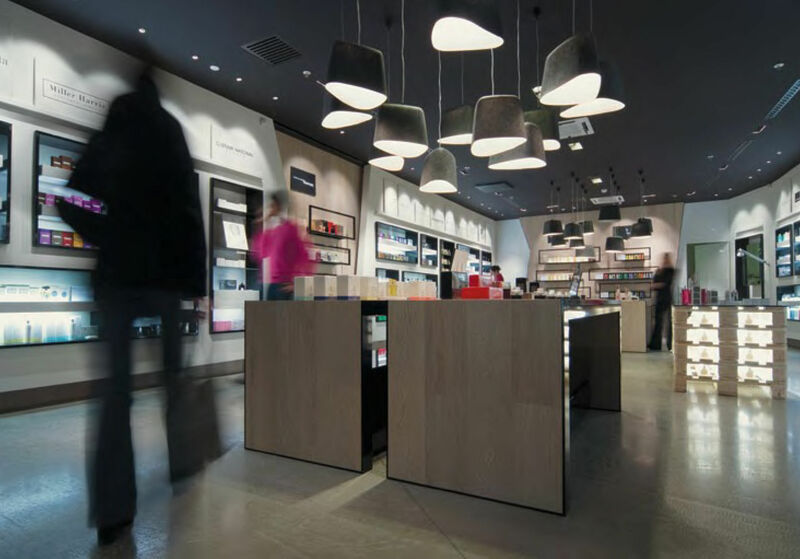 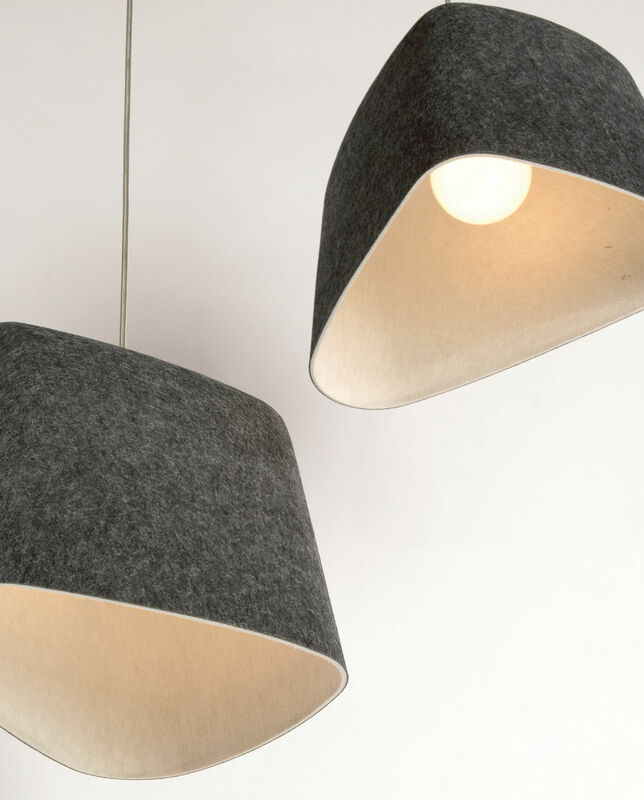 In contrast to the predominance of metal and plastic lights today, Felt Shade provides warmth to a space both in light and feel. 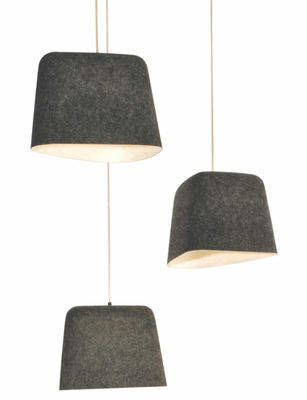 Available also with a f loor standing base it is a handy lamp suitable for intimate seating areas. 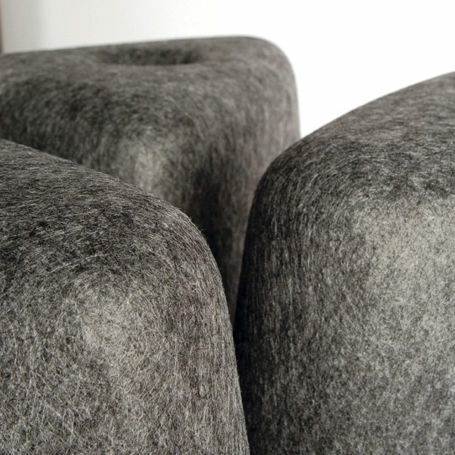 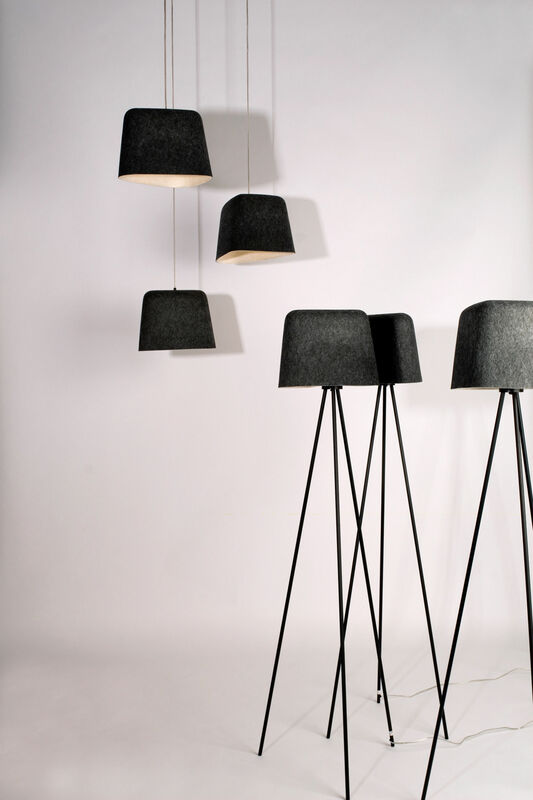 Felt shade is moulded into an organic form to ref lect the material's unique properties.